Twenty-one-year-old Mark Moriarty from The Greenhouse Restaurant, was today awarded the prestigious title of Euro-toques Young Chef of the Year 2013 at an exclusive event titled “Carnival of Memories” at Google Ireland’s Garage Cafe, in Dublin 2. 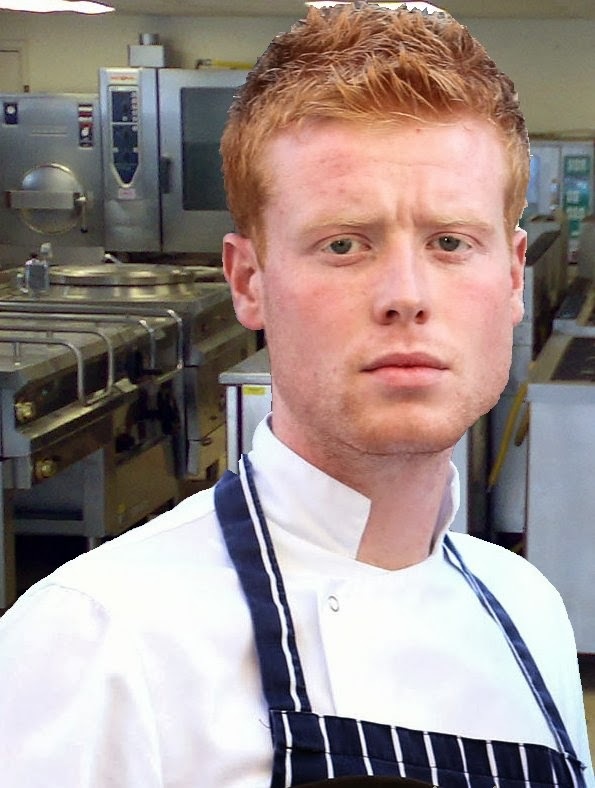 Mark is from Blackrock Co Dublin and works as a Chef de Partie in The Greenhouse Restaurant, situated just off St.Stephens Green Dawson St, Dublin 2. Mark was a runner up in the final of Euro-Toques Young Chef of the Year last year and is delighted with his triumph. "To make this final stage with the other four finalists was an honour in itself and right now it’s still sinking in that I have just been awarded the title of Euro-toques Young Chef of the Year 2013, " he said after the award presentation. Elena Arzak, World’s Best Female Chef 2012 and joint head chef at three Michelin star restaurant Arzak, was on hand to award Mark the distinguished title which includes a stage at ALMA, the International School of Italian cuisine in Colorno Italy, headed by world renowned chef Gualtiero Marchesi, amongst other exciting opportunities. The judging panel included Elena Arzak, Michelin-starred Ross Lewis of Chapter One, Euro-Toques President Wade Murphy, Marc Amand, MD of La Rousse Foods and Lorcan Cribbin of Unicorn. The panel was chaired by Neil McFadden. Now in its 23rd year, the theme of this year’s Euro-Toques competition was "Food Memories". The competition, in association with Failte Ireland, looks to find a young food ambassador for Ireland who can contribute to developing an identity for Irish cooking and promote Ireland’s culinary reputation at home and abroad. A special event celebrating Irish cooking took place on Sunday evening at Google Dublin to mark the 2013 Euro-toques Young Chef of the Year and announce the winner. Guests were treated to a champagne reception and a 5-course meal prepared by the finalists and their restaurants based on the theme "Food Memories". Commenting at the final, Wade Murphy, President of Euro-toques Ireland said, “This year’s Euro-toques Young Chef of the Year competition focused on Food Memories and we really wanted to see the finalists talents when it came to the interpretation of their own food memories from their childhood. Ireland in its own right is becoming a well-known culinary destination and we wanted to select finalists that can develop and add to this culinary revolution." "The passion, talent and determination we have seen over the past few months has been astounding and these five finalists are set for great things in the coming years. All five finalists brought something different to the table but in the end Mark’s hard work and unique talent shone through and we were delighted to announce Mark as the overall winner of Euro-Toques Young Chef of the Year 2013,” he added. Euro-toques, the European Community of Chefs, was established in Brussels in 1986 by a group of top chefs in Europe. Their purpose was to form a network of chefs committed to quality local food sourcing and to be a voice for the industry to protect Europe’s traditional foods and culinary heritage. Myrtle Allen of Ballymaloe House was one of the founding members and went on to found Euro-toques Ireland the same year. Euro-toques Ireland lobbies on a variety of food policy issues and is heavily involved in education, focusing on food education for children and skills training for chefs, in addition to organizing food-related events and activities for both industry and the public. For more information on the Euro-Toques and the Young Chef 2013 competition see www.euro-toques.ie.